The fact of the matter is that trends drive sales. Consumers are more cautious about what they purchase; the successful companies will be those that can offer them something different, relevant and on-trend with today?s current marketplace conditions. Interested in the latest trends in kitchen décor and technology. The latest and greatest products will both enhance the style of your kitchen and make cooking more convenient. Styles, spaces, and gadgets that work best for how you use the kitchen are current decorating themes. Unique and edgy décor are also popular. 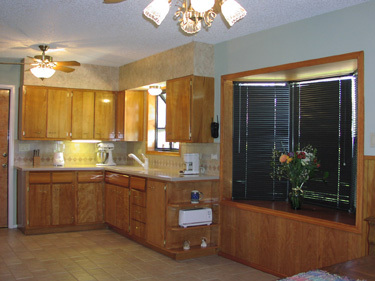 Kitchen designing is highly specialized and complex. An authorized kitchen designer is imperative, in conjunction with an interior designer, an architect or alone. Kitchen designers think about the little things that can become big if not anticipated -- like the placement of outlets, size and shape of appliances and proper storage spaces. They know about kitchen trends, innovations and specific manufacturer details; they keep abreast of the frequent changes, finishes and options offered by the many companies that will be a part of your kitchen. The average homeowner spends over 19 hours a week in their kitchen. The newest trend in cabinets is: Personalized storage: Country and European looks. Wider-than-ever array of drawer pulls, doorknobs, and other hardware. Ranges that measure up to four-feet wide. Barbecue grills on the cook top. Lion King - Regal gold recalls exotic jungle beasts and distant Moroccan markets. Metallic yellows. Cinder Blue-Silver pushes this mechanical blue toward cool grays. Root Beer-This rich brown bubbles up copper undertones. Iron Ore-ange-Copper merges with orange to create a mature and sophisticated background with ethnic undertones. Vibrant oranges-reds. Designer slate & limestone tile.